The famous actress Brigitte Bardot visited Armacao dos Buzios in the 60’s with her boyfriend back when the city did not have any global presence and even basic needs like electricity. After her visit to the beautiful untouched region, the actress expressed her love for the town’s natural treasures- highlighting the town on the world map. 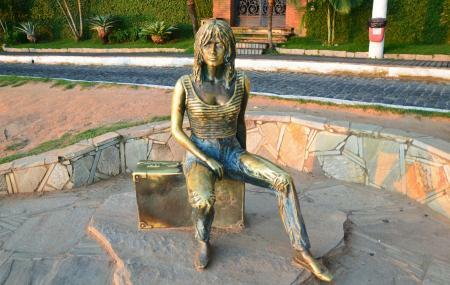 The statue is a tribute to the actress’s warmth for the town and taking a picture with her is nothing short of a ritual when in Armacao dos Buzios. Take a walk around the nearby Boardwalk which offers a beautiful view of the city and has a few food joints nearby as well. How popular is Brigitte Bardot Statue? People normally club together Rua Das Pedras and Praia Do Canto while planning their visit to Brigitte Bardot Statue.